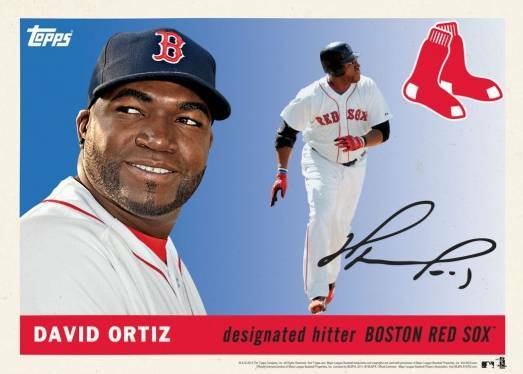 2014 Topps 60th Anniversary MLB Wall Art takes the 1955 Topps Baseball design, blows it up (as in making bigger and not going "BOOM!") and uses a checklist of current players. 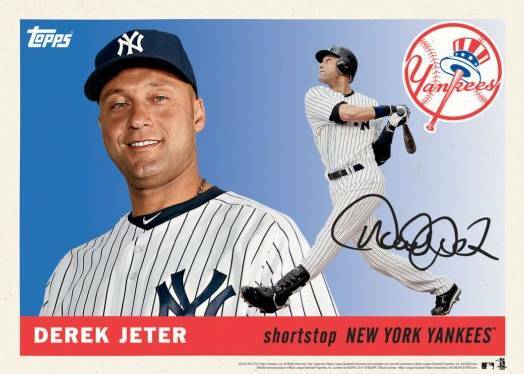 Like other prints, the set is an online exclusive available initially only on Topps.com. A total of 62 players have individual prints available. Numbered to 99, each measures 11" x 14". The cost is $24.99. Collectors can also buy team sets of five 5" x 7" prints. These are available for 12 teams and cover all of the larger prints except for Mike Trout and Bryce Harper. Those two can only be bought individually. Team sets are also limited to 99 copies. They come in a custom wax wrapper. 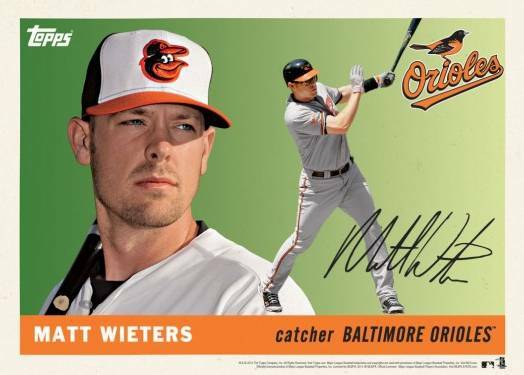 2014 Topps 60th Anniversary MLB Wall Art is printed on vintage-style card stock with a matte finish.